Get it from the primary mirror. 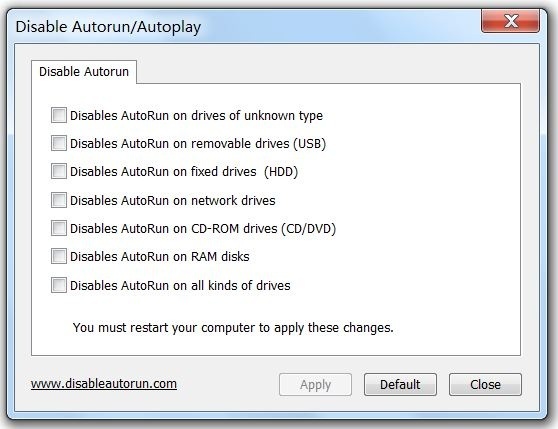 If you are having a question or a technical problem with The Disable Autorun/Autoplay, such as OS questions, error messages or other issues, please send an email to help [at] disableautorun.com. Note that due to time constraints, I'm not able to answer all questions via email. 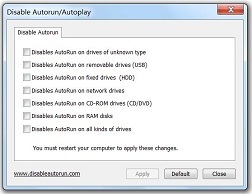 Copyright © 2011 DisableAutorun.com, All rights reserved.